If you work with me or have worked with me in the past then you know how much I value journaling. There are many options to work with our mental health challenges and stress but I have found that one of the most beneficial ways is to have a journal and write down anything you have in mind. No matter where you are, pulling out a pen and journal or paper; or laptop/app and getting out what is on your mind is a great stress & anxiety reducer. Writing in a journal can show your creative skills on any topic. Topics can range from writing down your goals in life, reflecting on the past mistakes you made, improving a relationship with a close family member or writing down what you love about yourself. These topics can help you improve the negative things that are going in your life and turn into something more positive. Depression can have a huge impact on your mental health and one can often feel overwhelmed with many emotions such as sadness, fear, and anger. You can help keep track of these thoughts and feelings while writing in a journal. Once you release these feelings in your journal, you will feel calmer and learn how to control your emotions to benefit your well being. Stress can be a huge problem in our lives if we don’t make time to process it. Once you are able to write in a journal, you are able to relax while releasing what is weighing on your mind. Journaling is a good way to boost your self-esteem by writing various topics that are related to yourself. These topics can range from listing down positive traits about yourself, things you enjoy doing and goals you want to accomplish in your life. This will provide a space for self-discovery. Writing in a journal every day will allow you to improve yourself as a person. By journaling, you write down the problems you are facing in life, challenges that you learn from or clarifying your thoughts and feelings. These topics will allow opportunities for self-growth. To get started in Journaling, all you have to do is pick up a blank notebook, grab a pencil and start writing. 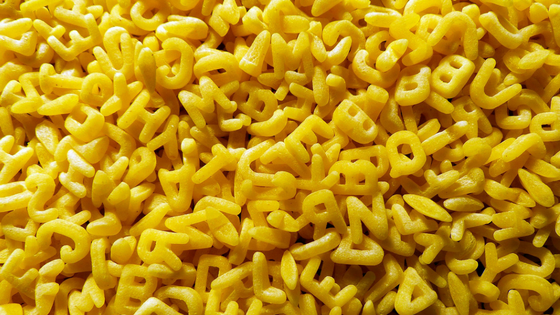 Just think of any creative topic, release your stress and shift your mood into one that is calmer. Once you keep the journal a part of your daily life, you will start to notice that writing becomes easier and a way to decompress. What kind of things do you do to give back? Is volunteering a part of your life in any way? For some of us, volunteering is something we do on a regular basis and for others it may feel like we don't have time, don't know exactly what to do or wonder what kind of difference can we make. I have done a variety of volunteer work throughout my life and it has always made me feel good when I do. There is definitely an intrinsic and extrinsic value in giving to others. I could go into the research that supports the benefits of volunteering for those that give and those that receive but I will save that for another blog post. Today, I want to talk about Sidewalk Talk. 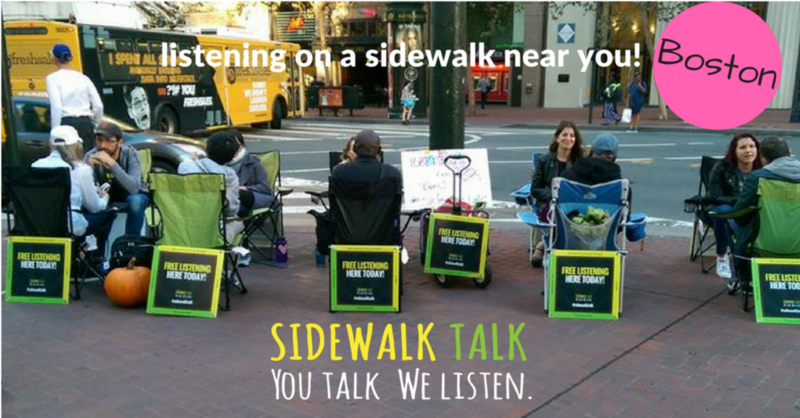 Sidewalk Talk is a community listening project. Its mission is to provide a space for people to be heard. It may sound simple or maybe sound like it isn't needed but think about all the times you haven't felt heard. Think about the people you pass on the streets, or at work, or school that may also feel that way or truly have no one to talk with. We all have stories to share, our lived experiences can be similar or very different but they are all of value. They all teach us something. Sitting across from someone who has made a decision to share their story with you is priceless. I am excited to be a part of this project and want to extend this invitation to you. So what does it take to be a listener? Sign up over at Sidewalk Talk and complete the online listener training. You should also join our Facebook group, Sidewalk Talk Boston. Insight Timer is a free meditation app that offers thousands of guided meditations, lectures, music, and courses. It also offers a customizable timer that you can use to meditate to nature sounds, music, bells and more. Outside of these features is the option to connect with others on the app who also meditate. You can join groups for specific purposes or themes such as beginners, Zen, yoga and hundreds more. The app allows you to search for meditations based on themes or time. Only have 5 minutes? You can search for a meditation to fit that time. Looking for a loving-kindness meditation? You can search for that as well. I have found meditations for walking, running, gratitude, motivation...you get the picture. If you haven't had the opportunity to try this out and have been meaning to try meditation, give this a go and let me know what you think! Where do Introverts fit into Activism? "...I always think that activism needs introverts because we're really good at intimate activism. So we're good at slow activism, and we're really good at intimate activism, and if this year has told us anything, it's told us that we need to, when we're engaging power holders, we need to engage them by listening to people we disagree with, by building bridges not walls --walls or wars -- and by being critical friends, not aggressive enemies." What do you think about Sarah Corbett's talk and the role introverts play in Activism? As someone who doesn't necessarily consider myself an introvert, I had to think about the activist engagements I have been in and if I afforded a space for introverts to participate. Are you an introvert engaged in Activism? How do you get "heard" and what do you do to recharge? I wanted to share that I was featured on the BostonVoyager website under inspiring stories which I really appreciate! I was asked by my BFF and colleague, Jenn Walker Wall, Work Wonders Coaching + Consulting, to speak about a topic that comes up quite frequently with a lot of the clients that she works with. I wanted to share this here because I know that building confidence and the imposter experience can affect many people at some point on their paths. If you had a time when you were struggling with confidence, how did you manage? What do you wish you would have did differently? What really worked for you? Bibliotherapy is the use of literature (both fiction and nonfiction) to facilitate therapeutic interaction between a participant(s) and a facilitator. What does that even mean? Well think about the last time you read a book that you really connected to. Maybe it made you laugh or cry or get upset but you made a connection with the story on the page and that response can sometimes be healing, reflective or gives us perspective on where we are at in our life or experiences. This is what I look to create in the process of Bibliotherapy. This is an interactive process where the participant and the facilitator interact around the story and the responses it brings up to clarify feelings or discover new insights to their challenges that they are working through. I will be reviewing a book each month in subsequent newsletters and why I recommend it for this process. Is there a book that you have really connected with? Please share what it is and why. With the New England winter approaching (hopefully not too soon), I wanted to talk about Telehealth. What is Telehealth? Telehealth, also known as online therapy, is the application of therapeutic counseling via communication networks to include telephone, video or internet. It can be utilized from therapist to client local, nationally and internationally. Telehealth is beneficial for a variety of reasons. Some of my clients use online therapy on occasion, others use it as a primary tool. I have clients around the world who choose to utilize online therapy as their tool for mental health care. Within the United States, I currently hold licenses in Massachusetts and Iowa so residents in either of those states can make appointments with me. Please contact me if you are interested in finding out if your health insurance covers Telehealth sessions. All self-pay clients (those that do not utilize health insurance for sessions) have access to Telehealth sessions which include phone and video. Telehealth sessions are accessed via a HIPAA-compliant platform and a release must be signed beforehand specifically for Telehealth. These are just some of the many benefits that are reported! EMDR (Eye Movement Desensitization and Reprocessing) was actually discovered by Dr. Shapiro when she noticed that her feelings and thoughts of being upset disappeared while walking. If you are interested in Walk & Talk therapy, you must be an established client, be able to meet during daylight hours and have signed a waiver prior to session. All Walk & Talk sessions must be scheduled at least 48 hours ahead of time and are weather-permitting. Let’s observe the change of the seasons in session!